The field of pneumatic industrial controls is vast, and it takes true professionals to give you what you and need. Not all industries are the same, and neither is the machinery they use, so the need precise controls are desperately needed. At Ellis/Khunte we recognize that these controls can make or break a business, and we want to ensure that you make it. Since 1962 we have been manufacturing and distributing pneumatic control devices, and in that that time we have been honing our craft to give our customer nothing but the absolute best. We carry a wide range of products. We carry multiple series, as well as different sizes, timing ranges, and position. Our pneumatic times are in stock and ready to ship. We also carry a lot of different pneumatic visual indicators in different colors; including green, white, black, and amber. 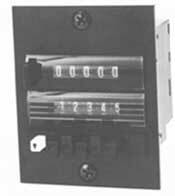 You can count on our stock of pneumatic counters that come with different digit amounts, operating pressure range, and even reset. No matter what the issue we can help you with your needs. Our team of engineers work tirelessly to make sure that each of our products is top of the line. It is hard to find a trust worthy companion in this field, and we want to be there for you and your business. Give us a call today and see how we can help you.